Also called a 'skeletal' phone because of its appearance, this phone has a magneto built into the base in order to ring the operator. 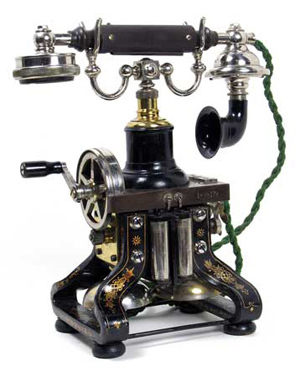 See more versions of this phone at Paul Sidey's great L.M. Ericsson site.